The hiking starts at 2000 m a.s.l. 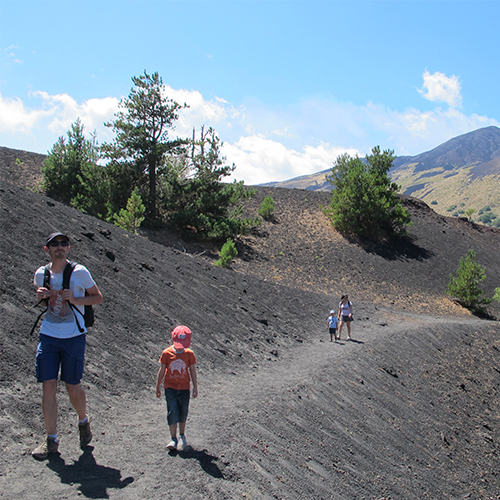 walking on the craters of 2002 eruption. Quite easy, technical clothes required. Duration 2 hours. Visit of a lava cave. The Sartorius craters, 1800 m a.s.l. along a botton-like set of craters surrounded by aetnensis birch tree wood. Perfect for kids too. Duration 1.5h. Technical clothes required. 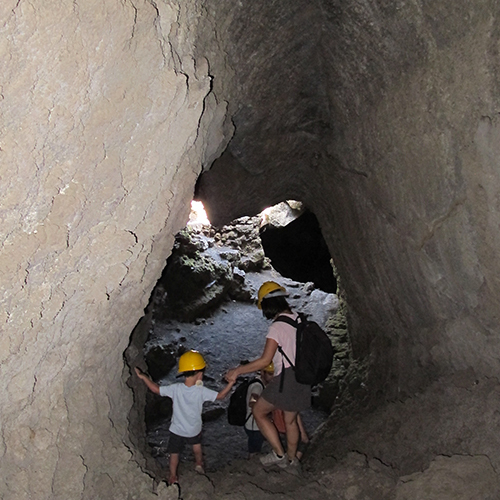 Visit of a lava cave. 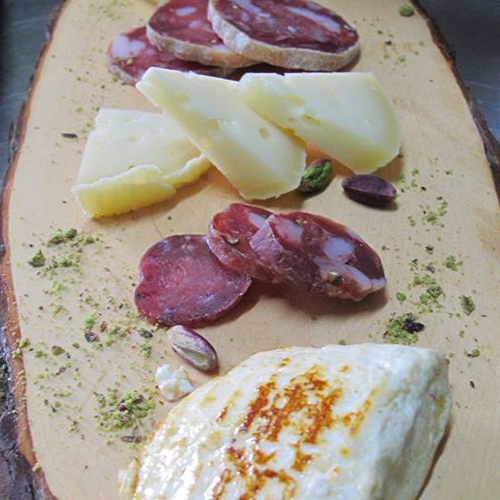 All tours may be combined with a food experience either at a winery or a local panino or trattoria.